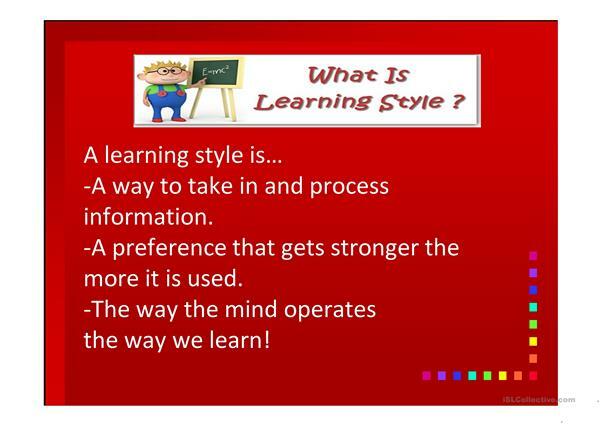 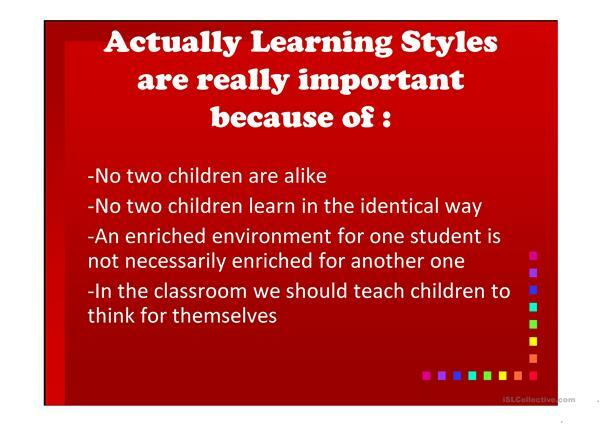 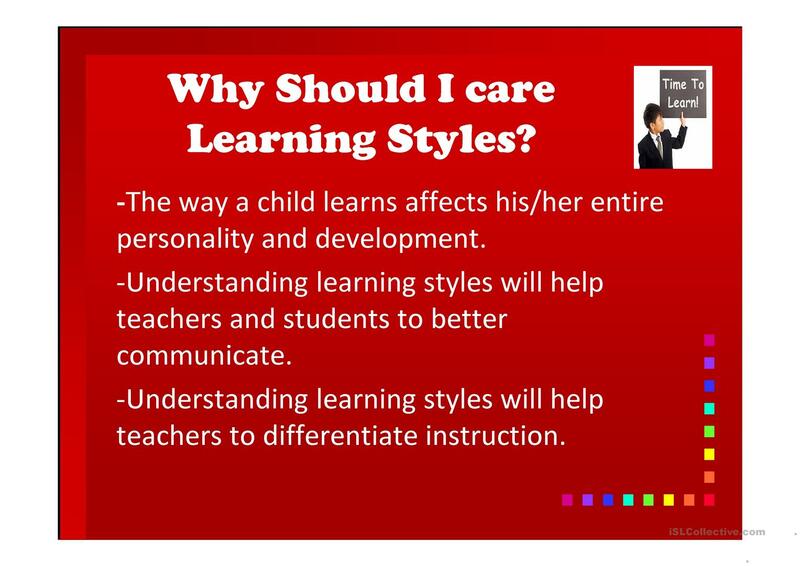 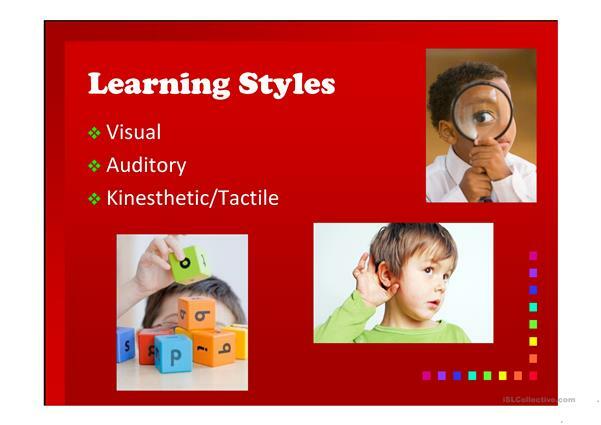 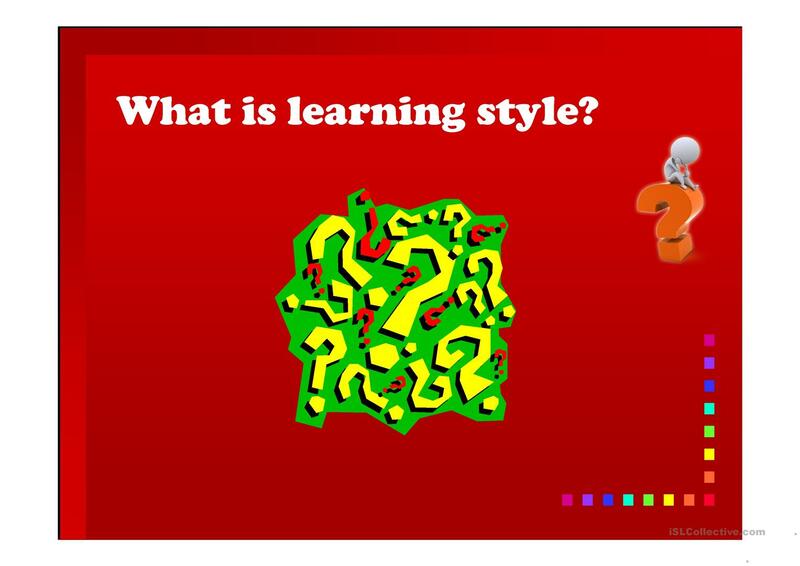 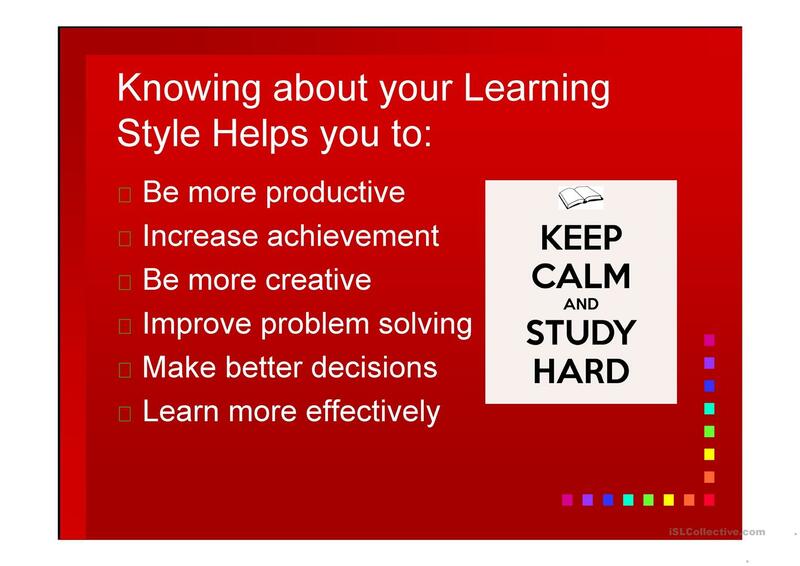 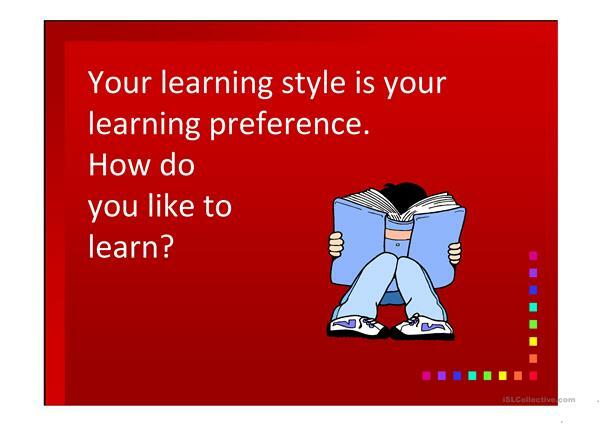 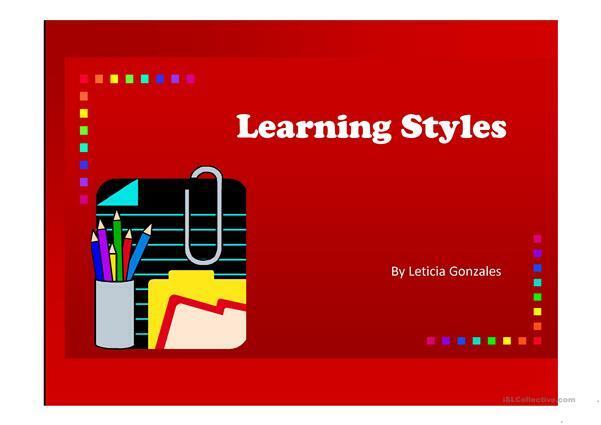 OVER THIS PRESENTATION YOU WILL BE ABLE TO KNOW A LITTLE BIT MORE ABOUT THE DIFFERENT LEARNINGS STYLES AND TAKE INTO CONSIDERATION SOME RESEARCHES. 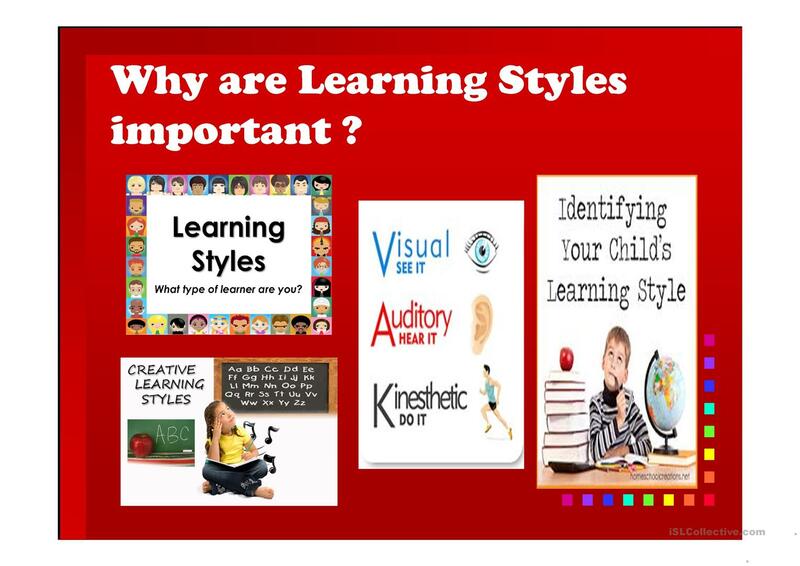 The present downloadable teaching material is a great resource for business/professional students and adults at Pre-intermediate (A2), Intermediate (B1), Upper-intermediate (B2), Advanced (C1) and Proficient (C2) level. It is a useful material for revising Word order in English, and can be used for strengthening your groups' Speaking and Reading skills. 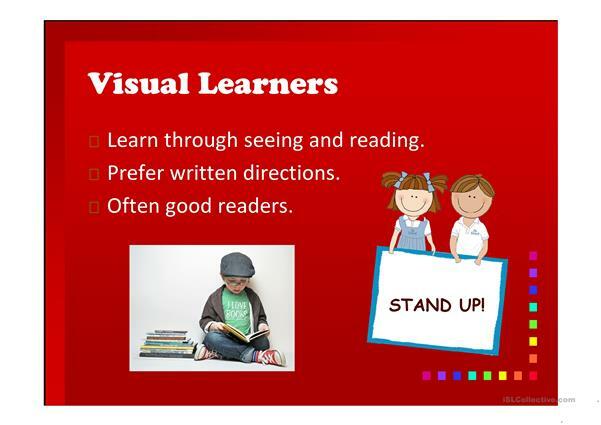 It is focused on the topic and words of Ability.